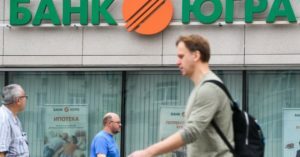 The number of banks whose licenses were revoked increased significantly in 2018, but their aggregate assets decreased, says the Monitoring of Economic Situation in Russia review by the Russian Presidential Academy of National Economy and Public Administration (RANEPA). As of the beginning of 2019, there were 484 banks in Russia, down from 542 last year. Six years ago, in 2013, there were 1,094 banks in the country. The decrease is caused by the Central Bank policy: it has revoked some 400 licenses in the past five years. In 2014, the Central Bank actions were combined with anti-Russian sanctions, and each month, an average of seven licenses were revoked; in 2013, 4-5 banks were losing their licenses each month. In 2016, as many as 97 licenses were revoked and 51 were revoked in 2017. In 2018, 60 banks lost their licenses. The aggregate volume of assets of these banks were RUR 562 bln ($8.6 bln), which is 0.65% of the entire banking sector.